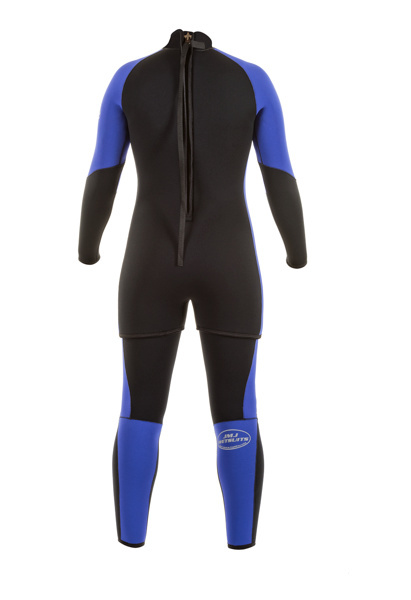 One of the warmest combinations we offer, this traditional two piece design has been serving divers well for over fifty years. 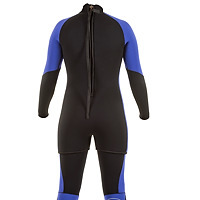 The Farmer John and Step in Jacket combination offers versatility in use as the Jacket can be worn alone in warmer water, or over the John to add a double layer of neoprene over the torso for cold conditions. Add a Hood with Coldwater Bib to this combination for maximum warmth. 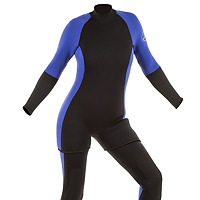 Our dive suits are made with durable dive-grade neoprene that has better “memory” than other types of neoprene, meaning it will resume its thickness, even after being compressed many times at dive depths. All seams are glued & blind stitched for durability and have Lycra bindings for flexibility. They are available in various thicknesses with your choice of interior Nylon lining or Neoskin, and have non-corrosive Vislon zippers with interior flaps to prevent water from entering.